So it is another year of market cooking. 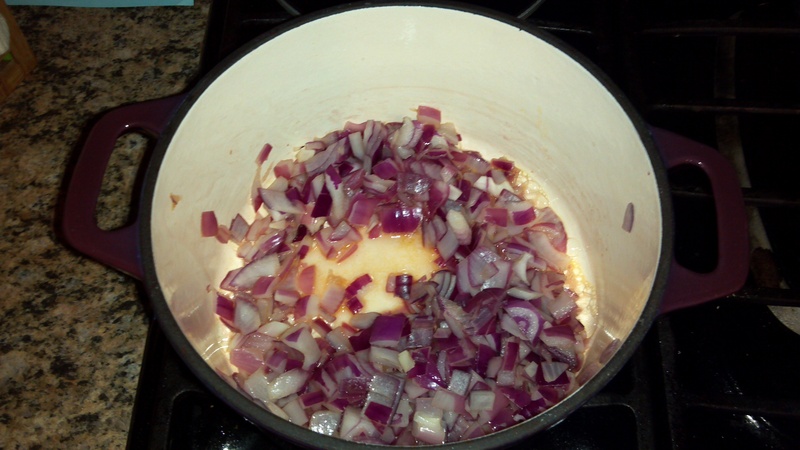 Last year I did not do as good as I’d hoped I would in blogging about our meals. As a family however we did a pretty good job increasing our food consumption of market based meals. This year I am keeping the same challenge of eating from the market (as local as possible) however I am going to one up it and try to blog a bit longer than I did last year, meaning till the end of the market… December 2013. From now until September I will be mainly focusing on items I can find at a local farmers market that Our Kitchen Table (http://oktjustice.org/) supports – The Southeast Farmer’s Market. In doing this I hope to support Our Kitchen Table in providing recipes for fresh, homemade meals that their participants can make at home. Meals based on the vegetables, fruits and products they can buy at the market and supplement with items they are growing in their own garden, or with ingredients found in their kitchens. 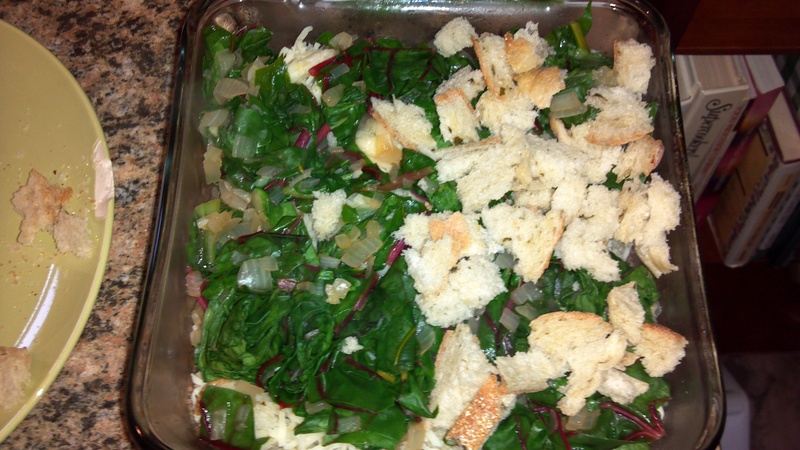 Recently OKT supplied their participants with seedlings to grow at home, some of which were mustard greens. 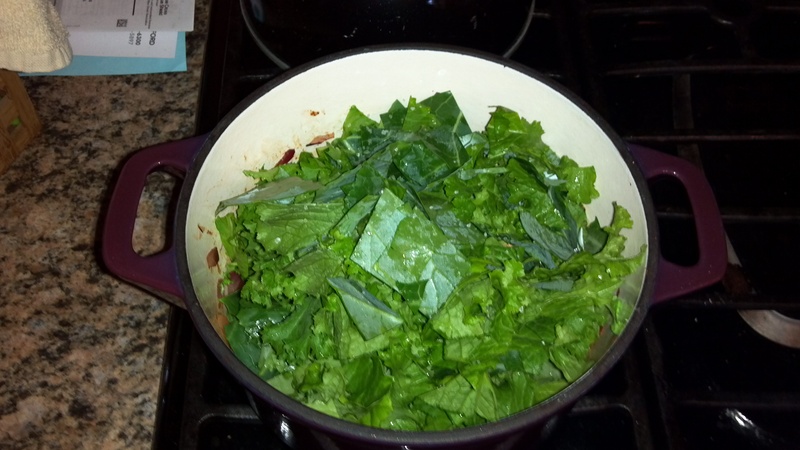 So I will be honest, I have eaten mustard greens, but never cooked with them… a new challenge was taken on. 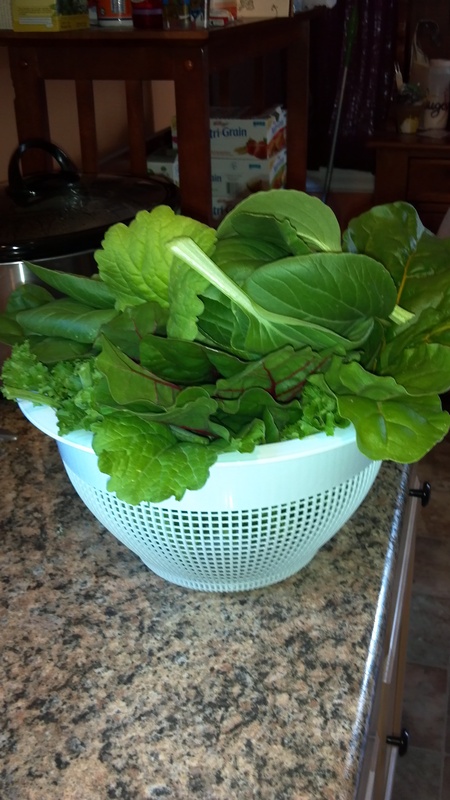 The other day while watering my own garden, some of which includes mustard greens, I thought I’d try a leaf raw and get a feel for what I was going to be cooking this week. STRONG flavor is just a minor way I’d describe mustard greens. It does have a mustardy flavor, just not one I enjoyed raw. 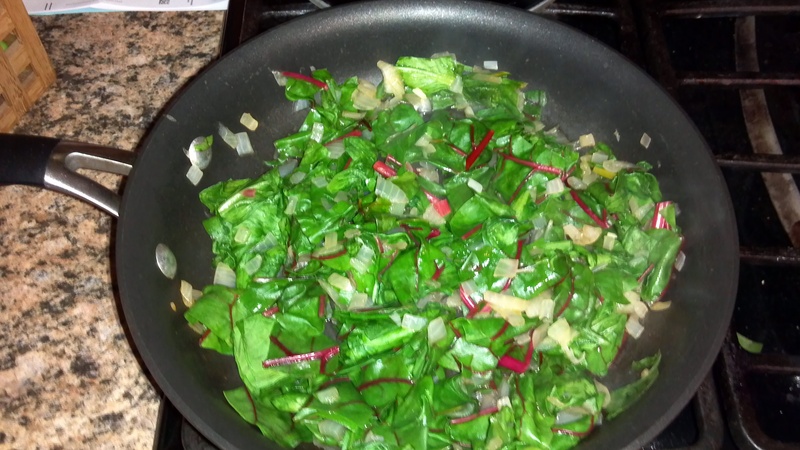 To find a recipe around this leafy green that highlighted its flavor was my job tonight. 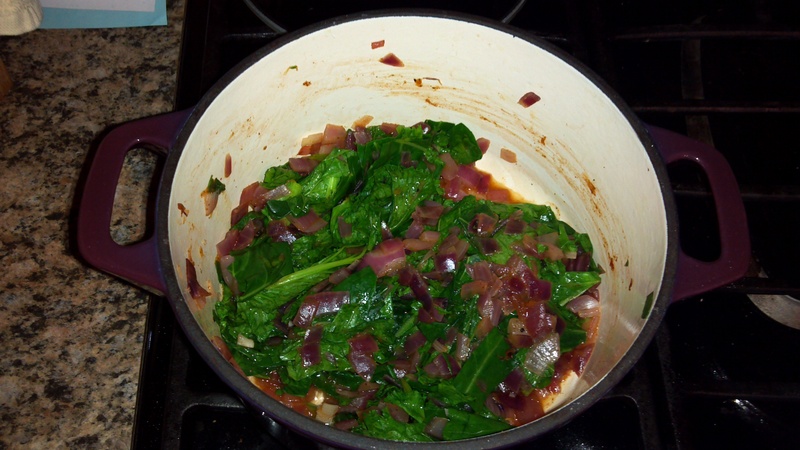 I diced my red onion, removed the stems of my mustard greens and collard greens, I didn’t have that many collard greens so I combined them to reach the full 10ozs required for the recipe – consequences of a smaller garden. 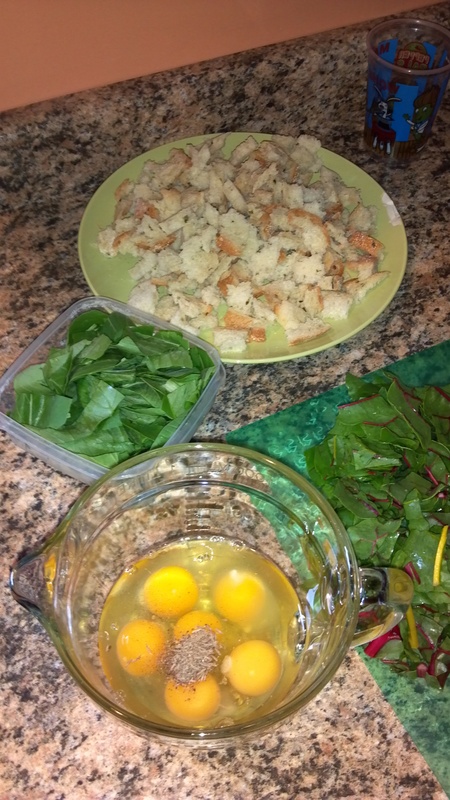 I got out my broth, this is a oil free recipe, and my improvised ingredients. I didn’t have garlic or red pepper, so I took out black pepper and some chili powder. I didn’t have balsamic vinegar, but I had apple – good enough for me. Soy sauce, nope… just left it out. 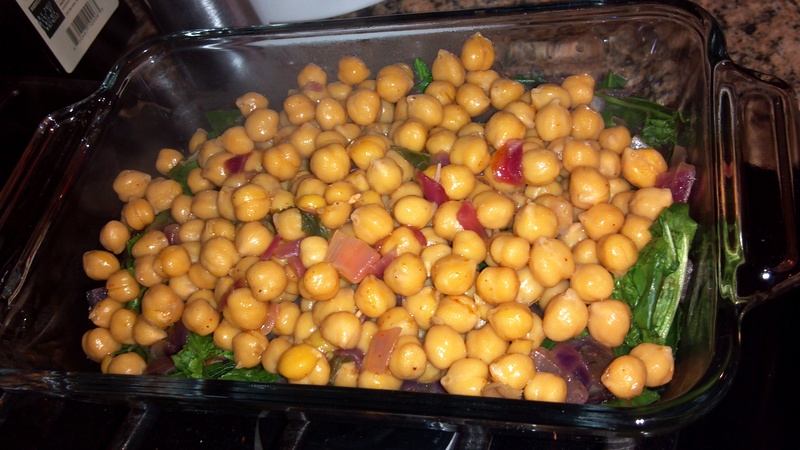 I used honey instead of sugar and I had 16 oz of chick peas. Time to cook and make it happen with what I had. 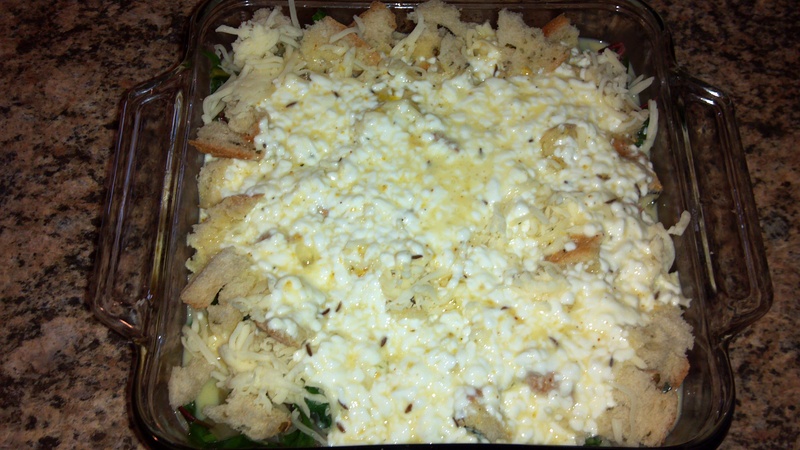 Everyone enjoyed the side dish, however they weren’t a fan of the chick peas flavor. Perhaps the soy sauce would have improved the taste or perhaps not. My husband suggested a different bean perhaps the cannellini or a butter bean might be better. My eldest enjoyed the dish and finished it.